Looking for a little beauty, glamour and pearl inspiration? Look no further than this wonderful photo of an Asos Box Chain and Pearl Necklace adorning a classic vintage Vogue from April 1, 1963. We love this image because it is completely artistic and the pearls are very complementing to the cover. Add this image to your pinterest as a reminder of the days that were filled with true fashion and absolute elegance. Let this be your glamour motivation. What do you think of the image? 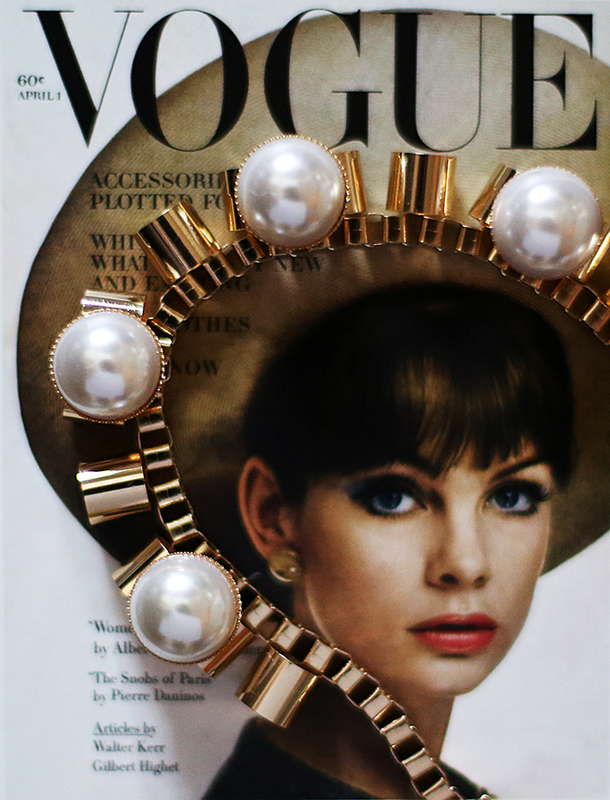 This entry was posted in PearlsOnly Blog and tagged 1963, art, Asos Box Chain and Pearl Necklace, image, Pearls, vintage, Vogue, Vogue from April 1 by PearlsOnly Team. Bookmark the permalink.